Heated Seats, Rear View Camera, Power Tailgate, Aluminum Wheels, Bluetooth! This ingot silver SUV has an automatic transmission and is powered by a 1.5L I4 16V GDI DOHC Turbo engine. Driven via that thrifty motor it gets 11.2 L/100 km in the city and uses just 8.4 L/100 km out on the highway according to Transport Canada. Our Escape's trim level is SEL 4WD. 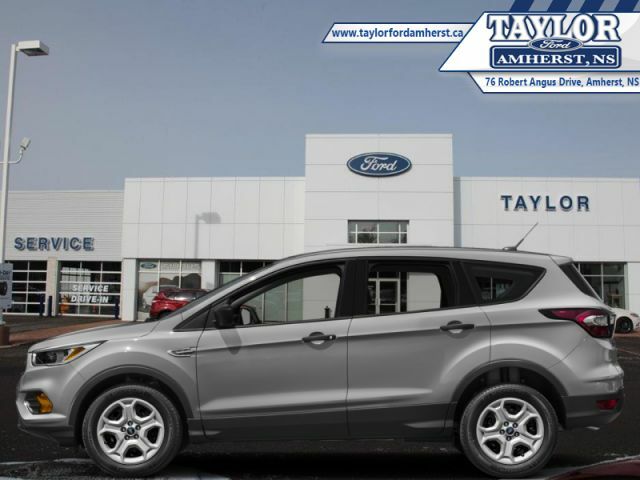 This 4 wheel drive Escape is loaded with Sync3, an amazing infotainment system complete with a 8 inch touchscreen, Apple CarPlay and Android Auto compatibility, dual zone automatic climate control, and FordPass Connect. Taking the luxury even further, there is also leather steering wheel with audio control, automatic headlamps, heated seats, power adjustable side mirrors, some sweet aluminum wheels, a rear view camera and reverse sensing system, and a power liftgate. This vehicle has been upgraded with the following features: Heated Seats, Rear View Camera, Power Tailgate, Aluminum Wheels, Bluetooth, Sync, Steering Wheel Controlled Audio. View the original window sticker for this vehicle with this url http://www.windowsticker.forddirect.com/windowsticker.pdf?vin=1FMCU9HDXKUB37418. Buy this vehicle now for the lowest weekly payment of $105.29 with $0 down for 84 months @ 1.49% APR O.A.C. ( Plus applicable taxes - Plus applicable fees ). Incentives expire 2019-04-30. See dealer for details.